Blend all of the chocolate dip ingredients together in a blender or food processor until smooth, set aside. Then mix together all the pumpkin ingredients. Swirl the two dips together. 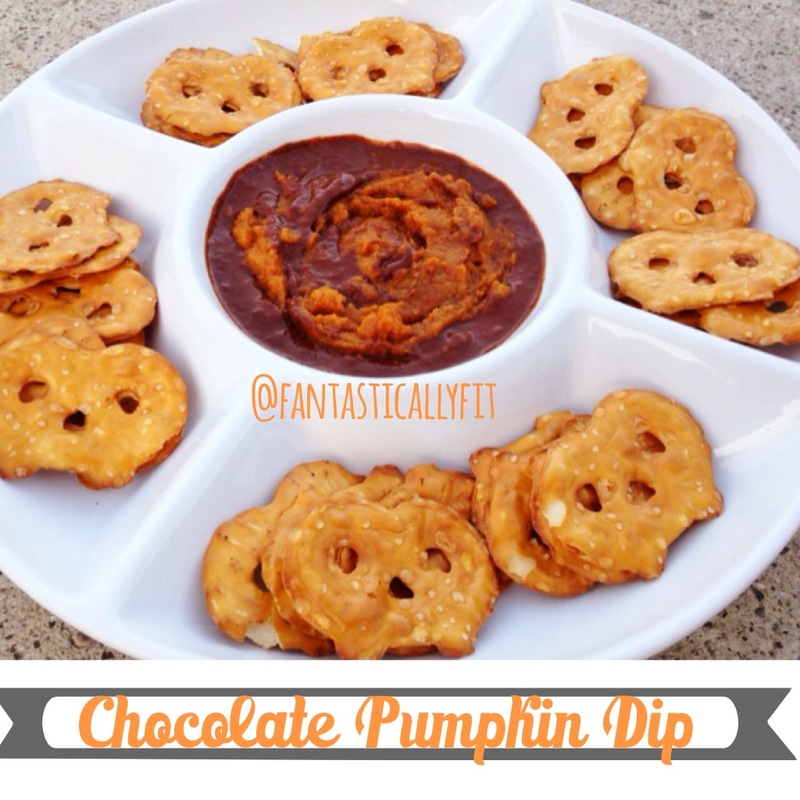 Serve with pretzels, apple slices, cookies or crackers of choice.